In a groundbreaking new book that does for art what Stephen Pinker's "The Language Instinct" did for linguistics, Denis Dutton overturns a century of art theory and criticism and revolutionizes our understanding of the arts. "The Art Instinct" combines two fascinating and contentious disciplines art and evolutionary science in a provocative new work that will change forever the way we think about the arts, from painting to literature to movies to pottery. Human tastes in the arts, Dutton argues, are evolutionary traits, shaped by Darwinian selection. They are not, as the past century of art criticism and academic theory would have it, just "socially constructed." Our love of beauty is inborn, and many aesthetic tastes are shared across remote cultures just one example is the widespread preference for landscapes with water and distant trees, like the savannas where we evolved. Using forceful logic and hard evidence, Dutton shows that we must premise art criticism on an understanding of evolution, not on abstract "theory." He restores the place of beauty, pleasure, and skill as artistic values. 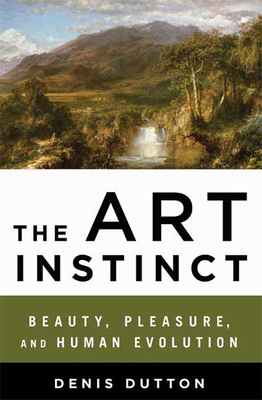 Sure to provoke discussion in scientific circles and uproar in the art world, "The Art Instinct "offers radical new insights into both the nature of art and the workings of the human mind. Denis Dutton is the founder and editor of the hugely popular Web site "Arts & Letters Daily," named by the "Guardian" as the best Web site in the world. He also founded and edits the journal "Philosophy and Literature," and is a professor of the philosophy of art at the University of Canterbury, New Zealand.